The third molars or wisdom teeth are the last ones to erupt. This usually occurs at ages between 17 and 25 years old. Because they are the last teeth to appear, your mouth usually doesn’t have enough room for wisdom teeth. If space is insufficient, the molar might grow at an angle that pushes against the neighbouring tooth and gums. This is then called an impacted wisdom tooth, which can cause tooth decay, gum infection and unbearable tooth pain. An infection can occur if an impacted wisdom tooth is not removed. Also, you will experience pain, stiffness in the jaw, swelling and general ill health. An impacted wisdom tooth is hard to clean due to its location in your mouth. 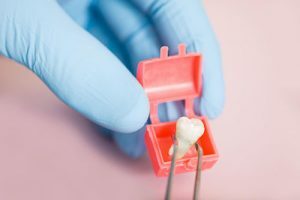 Once a tooth is partly covered and has a problem with eruption, it can be in danger of debris accumulating and causing a greater risk of infection. Symptoms such as redness, pain, foul mouth odour, difficulty in opening the jaw, and other conditions related to your wisdom teeth may result in serious infection if you neglect the importance of treatment. A decision will be made on whether a tooth extraction should be carried out at the dental clinic or be done by another specialist, an oral surgeon. After the procedure, your dentist will provide you with detailed post-operative instructions to help you recover quickly and avoid the risk of complications. 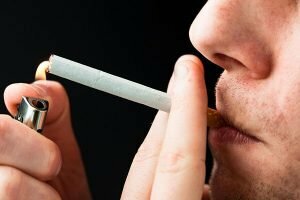 After wisdom teeth surgery, it’s advisable to quit smoking for a few days as smoking can highly affect your healing process. At The Glenroy Dental Group, you are one step away from having the smile you always wanted. Your trusted Glenroy dentist will give you a fully informed idea of all your treatment options, costs, and durations. We are pleased to offer you an enticing discount on some of our wonderful treatments and services. To find out more visit our special offers page or contact The Glenroy Dental Group now at (03) 9306 6511 or make an appointment online.